Last edited by WhiteWarlock on Tue Dec 04, 2018 10:17 am, edited 1 time in total. Last edited by WhiteWarlock on Tue Dec 04, 2018 10:20 am, edited 1 time in total. Last edited by WhiteWarlock on Tue Dec 04, 2018 10:21 am, edited 1 time in total. Last edited by WhiteWarlock on Tue Dec 04, 2018 10:24 am, edited 1 time in total. Last edited by WhiteWarlock on Tue Dec 04, 2018 10:26 am, edited 1 time in total. Last edited by WhiteWarlock on Tue Dec 04, 2018 10:27 am, edited 1 time in total. Last edited by WhiteWarlock on Tue Dec 04, 2018 10:29 am, edited 1 time in total. Last edited by WhiteWarlock on Tue Dec 04, 2018 10:30 am, edited 1 time in total. Last edited by WhiteWarlock on Tue Dec 04, 2018 10:32 am, edited 1 time in total. Last edited by WhiteWarlock on Tue Dec 04, 2018 10:35 am, edited 1 time in total. Last edited by WhiteWarlock on Tue Dec 04, 2018 10:36 am, edited 1 time in total. Last edited by WhiteWarlock on Tue Dec 04, 2018 10:38 am, edited 1 time in total. Ah nice, i have one of those, differently branded tho. Bought it for £1 in completely smashed up condition; I had to splice a new tape loop and the tape mechanism barely functioned, and has completely died last time i tried. The electronics work fine tho, so I need to get round to just frankensteining a walkman to the top of it i think. do you have the regular sized 8 track tape delay? 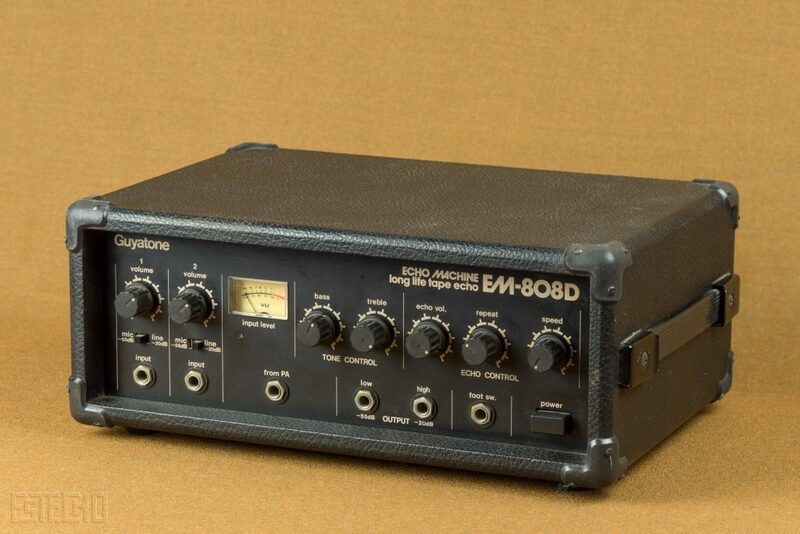 have obscure one that is the "MTI echo machine"